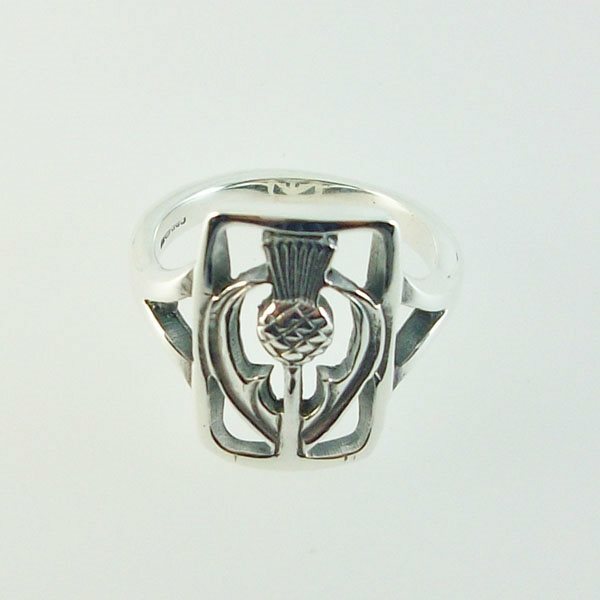 The Thistle Ring The Scotch thistle comes from a legend that the plant's thorny thickets helped protect Scotland from the Vikings.Folklore holds that as Vikings attempted an attack at night and raid Scottish villages, they were stung by the thistles thorns and cried out in pain, alerting the villagers to the attack and allowing them to fight back and drive back the invaders. Following this the Thistle was adopted as the floral emblem of Scotland it dates back to the late 1200's. We have named our thistle designs after some of the battles in Scotland. Design John M Hart 1975. Just Got this ring as a gift and it is Beautiful, Very well made.